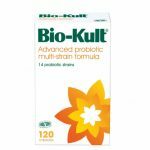 Bio-Kult 120 is a unique, multi-strain probiotic with 14 strains of beneficial bacteria, expertly formulated to help maintain healthy digestive and immune systems. Bio-Kult can help with specific conditions such as: antibiotic associated diarrhoea, traveller’s stomach, irritable bowel syndrome and inflammatory bowel disease. 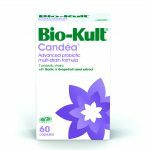 Bio-Kult Candéa, a probiotic supplement with grapefruit seed extract and garlic – taken daily it can help strengthen the body’s natural defenses against Candida.